Cristiano Ronaldo went off injured in Portugal's Euro 2020 qualifier against Serbia but does not believe the issue is serious. Ronaldo went off 31 minutes into the EURO 2020 qualifier in Lisbon after appearing to sustain a muscle problem while chasing after the ball. The 34 year-old insisted the issue is not serious and he hopes to be fit in time for the first leg of Juve's Champions League quarter-final against Ajax. Juve is scheduled to travel to Cagliari between home Serie A clashes against Empoli and AC Milan before heading to Amsterdam. "I'm not worried about this, I know my body," Ronaldo said. "I know I should be back in a week or two." The reigning European champion looked to have been handed a lifeline in the second half when Antonio Rukavina handled in the area, only for referee Szymon Marciniak to controversially change his initial decision to award a spot-kick after consulting with his assistant. Portugal coach Fernando Santos revealed Marciniak had apologised for his mistake. "He invited me into his room to take a look at the incident. We saw it and we had no doubts, neither he nor I, and then he apologised," Santos said. "But the excuse does not help me. "No one who is 40 metres away can say it isn't [a penalty], especially when the referee sees it. What will I do with the excuse? 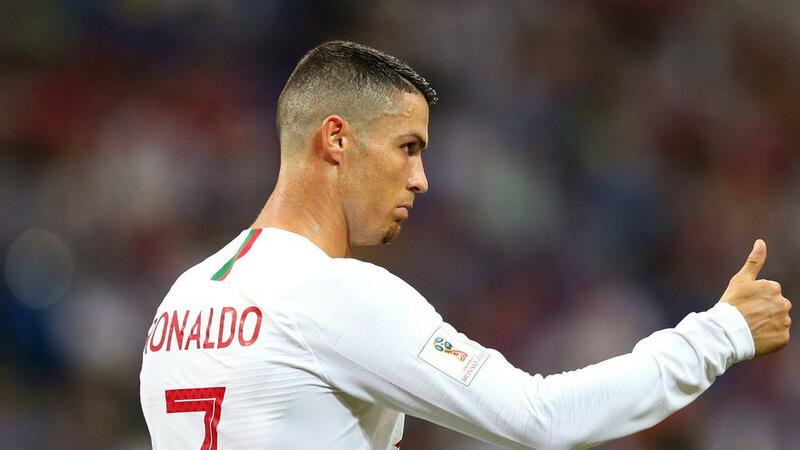 Portugal is not in qualifying action again until September and sits third in Group B with two points from its opening two fixtures, which were both played at home.